I read this article and found it very interesting, thought it might be something for you. 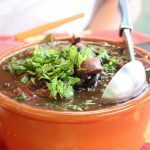 The article is called 5 Things about Feijoada: Brazillian Foods and is located at http://trip-n-travel.com/listicle/19324/. Feijoada is a common name given to culinary dishes from Lusophone countries such as Portugal, Brazil, Angola, Mozambique, and Macau. Feijoada is a dish consisting of a bean stew, usually with meat, and almost always accompanied with rice. Feijoada is one of the most known and popular dishes of Brazilian cuisine. 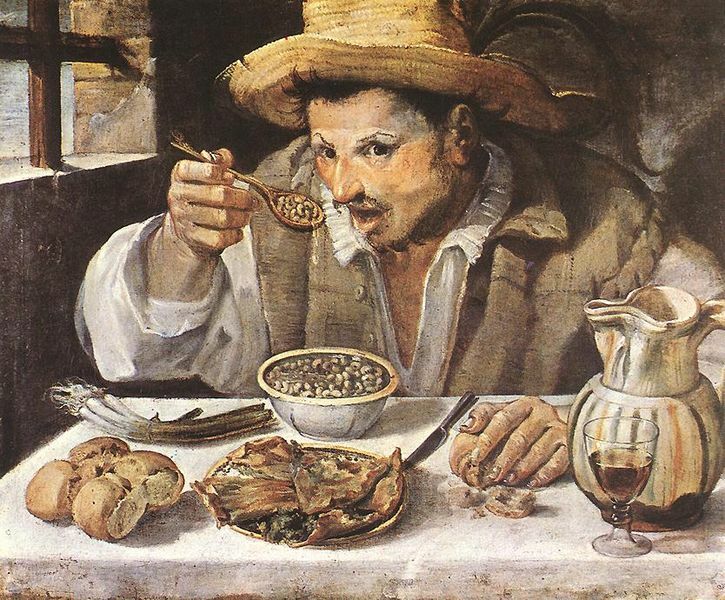 Composed primarily of black beans, various parts of pork, sausage, flour and accompanying vegetables, it is commonly identified as a culinary creation of the enslaved Africans who came to Brazil. It is a dish originating in North Portugal, and today is one of the most typical dishes of Portuguese cuisine. Historians and culinary experts indicate that this type of dish – mixing various meats and vegetables – is ancient. Dating back possibly the Mediterranean area at the time of the Roman Empire. Similar dishes in Latin cuisine would be cooked in Portugal, France, Spain, and Italy. But Feijoada has the specificities of Brazilian cuisine. 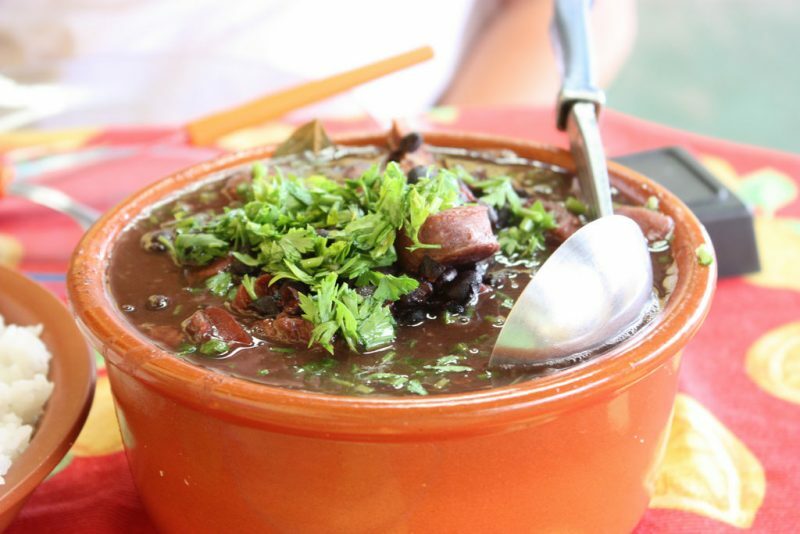 The black beans are an integral ingredient of Brazillian cuisine. In Brazil, Feijoada is made with a mixture of black beans and various types of pork and beef and comes to the table accompanied by manioc flour, white rice, steamed cabbage and sliced orange, among other ingredients. In Portugal, kitchen with white beans in the northwest (Minho and Douro Litoral) or red beans in the northeast (Tras-os-Montes), and usually includes other vegetables (tomatoes, carrots or cabbage) and pork meat or beef, which can be pushed together with chorizo, blood sausage or sausage. It is typical of Cape Verde dish made of beans base and cooked corn kernels, served with meat or fish and vegetables. 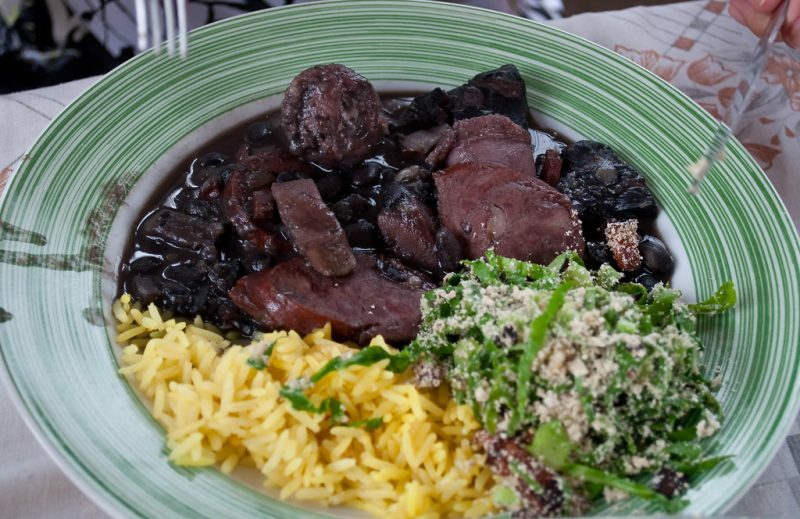 It is a Brazilian dish made of black beans base and cured pork and beef. 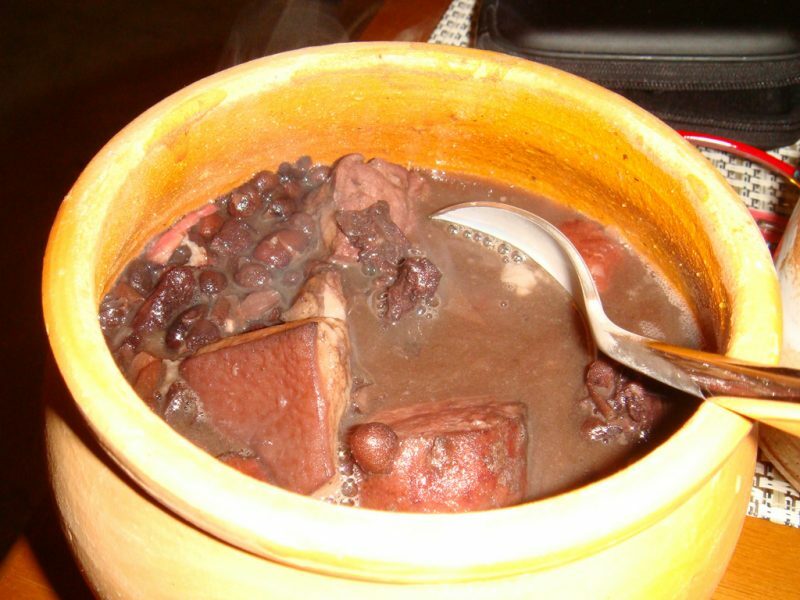 It is a dish of Portuguese cuisine, made red bean base and pork. 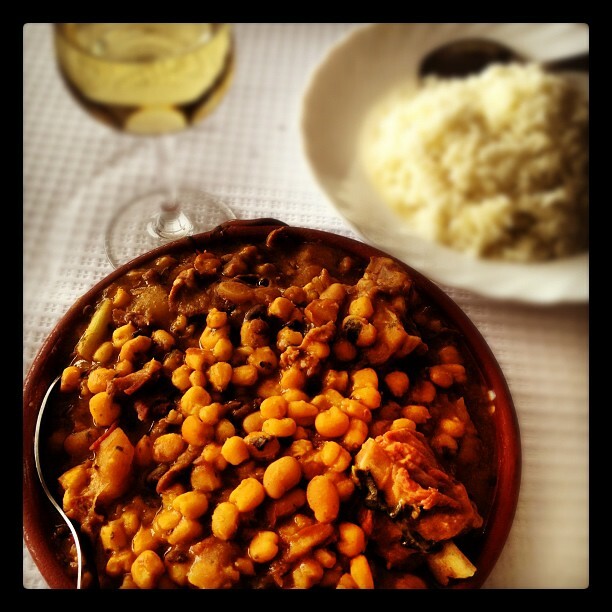 It is also a Portuguese dish, made with white bean base and pieces of meat. Rice contains the essential amino acid methionine and beans contain another essential amino acid called lysine. These are an ideal combination for the body to absorb the proteins of plant origin. The steaks are also fundamental as protein sources. By avoiding excessive quantity of sausages and pork, you can reduce the calories and sodium intake with this dish.